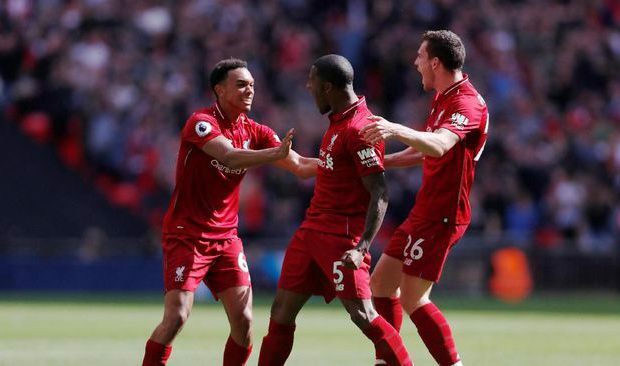 Liverpool managed to beat Tottenham Hotspur with a score of 2-1 in the continued Premier League match at Wembley Stadium on Sunday (15/9). This is Liverpool’s fifth victory this season. This record makes Juergen Klopp’s players repeat the achievements of the 1978-1979 and 1990-1991 seasons which wiped out five early Premier League matches. Statistically, Liverpool are seen playing very effectively throughout the match. Despite losing possession, Liverpool created more opportunities than Tottenham. Liverpool, who only controlled 40 percent of ball possession, scored 11 shots with eight of them on target. Meanwhile, Tottenham can only create one shot on target for two rounds. Liverpool managed to score the first goal through Georginio Wijnaldum in the 39th minute. Wijnaldum’s goal started from a crisis that occurred in front of Tottenham goal. Wijnaldum, who had the opportunity to head the ball, directed the ball into the goal. Wijnaldum’s header was brushed aside by Michael Vorm. But referee Michael Oliver blew the whistle a goal occurred. Through replays, the ball was already past the goal line when Vorm brushed the ball out. Left behind by a goal in the first half, Tottenham tried to find the equalizer as quickly as possible. Mousa Dembele had two golden opportunities to score a goal in the first 10 minutes of the second half but both of them ended in failure. Liverpool also not only tried to survive and were satisfied with a 1-0 advantage. They managed to steal the second goal using the speed of counterattack. Mane’s movement on the right side of Tottenham defense ended a horizontal cross. The ball that was tried to be saved by Jan Vertonghen actually cause chaos and also helped outwit Vorm. Roberto Firmino looked smartly at the opportunity and struck the ball into the goal. Liverpool went 2-0 up in the 54th minute. After trailing 0-2, Tottenham tried to increase the attack by entering Son Heung-min in the 73rd minute. But the pressure of Tottenham was still able to be stopped by the defende of The Reds who appeared disciplined. Liverpool almost made it 3-0 in the 81st minute when Mohamed Salah fired a shot into the far post. But Vorm reacted well and successfully brushed off the ball. Tottenham finally reduced the position in injury time through Erik Lamela. Lamela received the ball from a tight angle and fired a left-footed shot. The ball slid into the far post unstoppable by Alisson Becker. A score of 2-1 lasts until the end of the match. With this result, Liverpool temporarily led the standings with a collection of 15 points. Meanwhile, Spurs were stuck in fifth place with nine points.